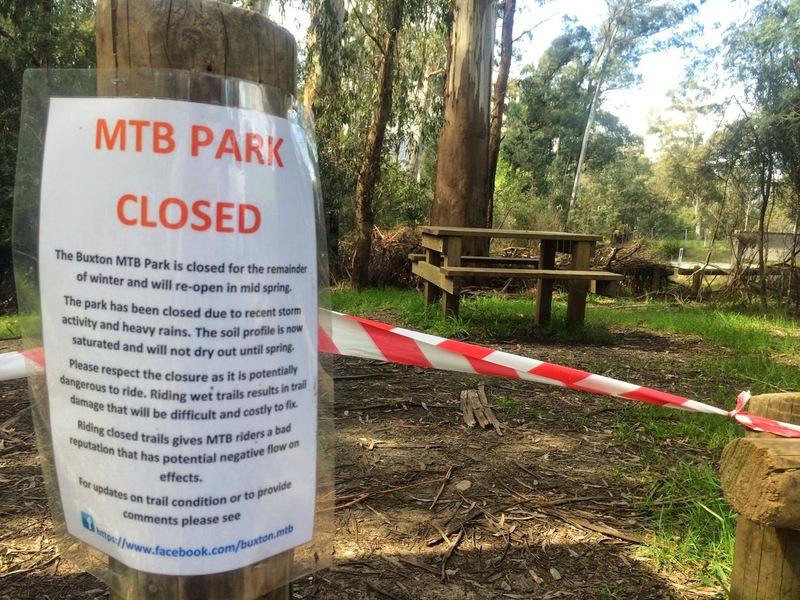 I have to preface this post with the background that when I turned up at Lysterfield MTB Park yesterday, I had wandered down to an information booth only to find a poster indicating that about a third of the trails were listed as closed. This hadn't really worried me as there were plenty of open trails still to ride, and so off I went. But then when I got to the closed trails, there was no sign indicating they were closed, and as I sat there wondering what to do, a veritable flood of cyclists came past me in either direction. So I joined the flood. 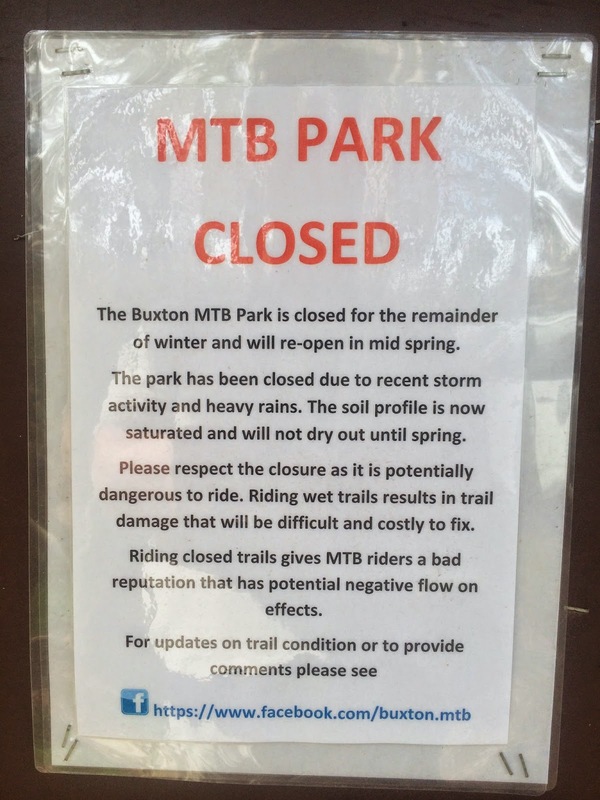 This background is important, because this morning I was sitting in Healesville Bakery and on a whim brought up the Buxton MTB Trails website only to see a warning that the trails are currently closed ... reopening next weekend (of course). So an hour and a half after leaving Healesville Bakery, I was back there again looking for a Plan B.